Knowledge of foreign languages, no doubt, was highly valued at all times and in all countries of the world. In different historical epochs this was a necessary condition for holding many government positions and working in the diplomatic service, each self-respecting nobleman owned several foreign languages ? ?and easily spoke with foreigners. And if in the past centuries the knowledge of foreign languages ? ?was a sign of noble birth and good tone, today in the conditions of globalization and multicultural society it is an absolute necessity for almost every person in the whole world. Now it is difficult to name even one or two spheres of social life, where one or another way one would not have to use knowledge of a foreign language, and therefore among modern youth philological education in the specialization of foreign languages ? ?is gaining increasing popularity. At the same time, it is very important that philological education is not a routine memorization of grammatical rules and foreign words, but in fact it enables one to master the skills of communication in the language of a particular state. It is this qualitative and result-oriented philological education that provides students with the Faculty of Linguistics and Translation of the International Humanities University. For 4 years, students are studying two main foreign languages ? ?and the third is optional. The range of major languages ? ?is very extensive - it's English, German, French, Arabic, Chinese, Turkish. By the way, the choice of the third foreign language is more than wide - it's not only Arabic, Chinese, French and German, but also Polish, Japanese, Modern Greek, Italian and Spanish. Based on the increased demand in the labor market for translators and teachers of a foreign language, at the Faculty of Linguistics and Translation from this year, third year students are given the opportunity to further select pedagogical disciplines. 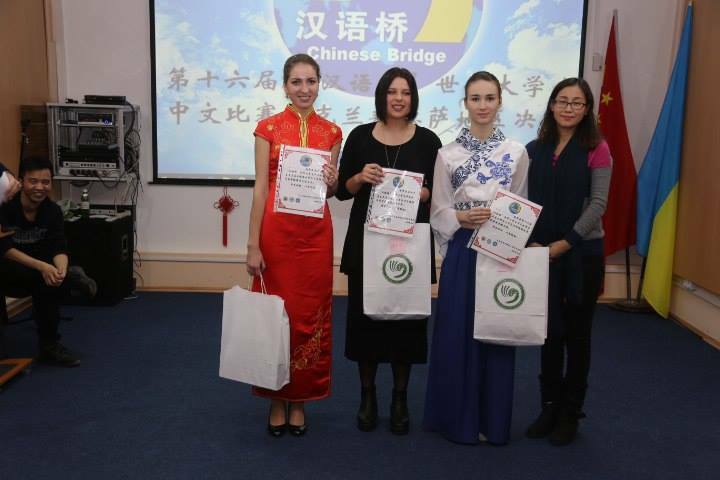 At the end of the bachelor's degree, the graduates are given the qualification "Philologist. Translator of two foreign languages. Teacher of Foreign Languages. " As for the magistracy, the term of study in it is 1.5 years and involves an in-depth study of the theoretical foundations of philology and improvement of knowledge of the technology of translation, including the mastery of the skills of simultaneous translation, which is very often used in conferences, symposia and diplomatic events at the highest level . Graduates of the magistracy receive the qualification "Philologist. Interpreter. Teacher of two foreign languages ? ?and foreign literature. " It should be specially noted that for admission to the magistracy of the Faculty of Linguistics and Translation, there is no need to take external independent testing, and a "cross-entry" option is possible, where the right to admission gives a bachelor's degree in any university at any specialty. The classes are conducted by highly qualified faculty, three departments are functioning at the faculty: the Department of Translation and Linguistics, the Department of Foreign Languages ? ?of Professional Communication and the Department of German and Oriental Languages. 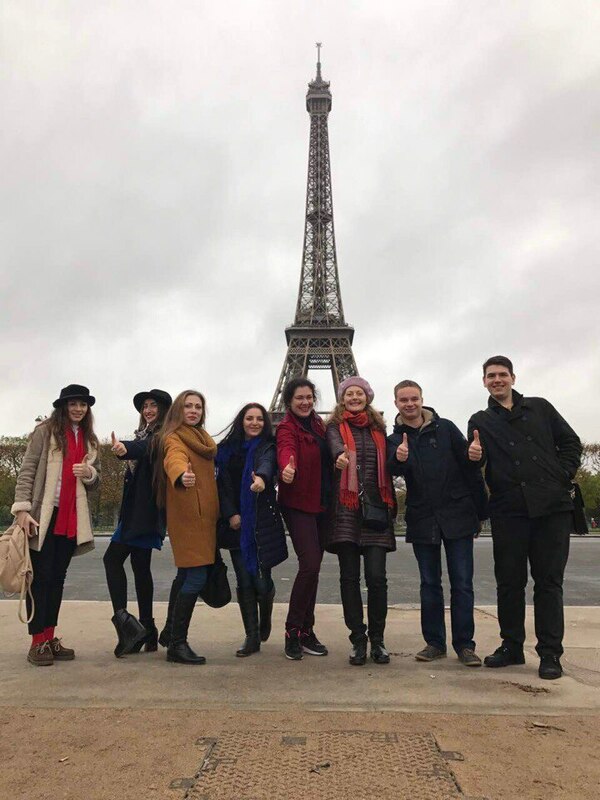 The teachers of the faculty are the organizers of the forum - the Goethe-Institut in Ukraine, the German Academic Exchange Service (DAAD), the Central Organization for Schools Abroad (ZfA), the Association of Ukrainian Germans. A very important part of the learning process is the practical component. 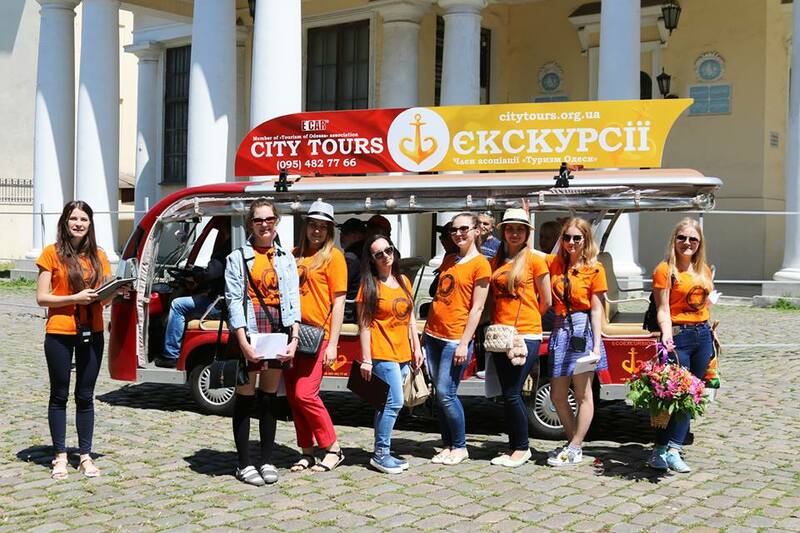 The University has agreements with many foreign language learning centers, translation agencies, educational institutions, international companies and travel companies, both in Ukraine and abroad, where students can take educational, pedagogical, and professional translation practices and internships. MSU students are practicing in such countries as Germany, France, China, Turkey, the United States and many others. It should be specially noted that all internships are paid and assume the subsequent employment at the end of the university. "The curriculum for the preparation of bachelors and masters includes the annual passage of practice from 1 to 6 year, in which students receive the necessary practical skills in the chosen specialty. A feature of practice at our faculty is, first, its passage in the countries of studied languages. Thus, the students of the French department undergo a practice in lyceums and gymnasiums in the city of Chator (France), translation - in the companies and enterprises of the Poitou-Charentes region, Beaujolais, Champagne (France); Students of the German department undergo a translation and pedagogical practice as part of the exchange program "Experten-Praktika Ukraine-Moldau in Nordbayern" in Nuremberg (Germany), Vienna (Austria); Students of the English department are given a unique opportunity to pass pedagogical practice on the interactive platform Vimbox company SkyEng (town of Rode Town, British Virgin Islands). Why a unique opportunity? Analogues of such a development (meaning the interactive platform Vimbox) in the market of educational services there; Students of the Chinese branch not only pass all kinds of practices in Beijing, Harbin (China), but also study at the universities of the People's Republic of China: Engineering University (Harbin), National University (Lanjou), Trade and Economic University of Anhui. Secondly, agreements on the passage of practices include a clause on the employment of students of the Faculty of Linguistics and Translation. Specificity of master's education is the mastering of practical skills of simultaneous translation, narrow areas of written and oral translation, such as: scientific, legal, medical, etc. Thanks to a wide range of subjects of independent choice of a higher education institution and a student, the Faculty of Linguistics and Translation has the ability to respond quickly to changes in the labor market. Therefore, we train specialists in the field of translation, which is the most in demand, - said Dean of the Faculty of Linguistics and Translation, Doctor of Philology, Professor Inna Valerianovna Stupak. After graduating from the University, graduates of the Faculty of Linguistics and Translation successfully find employment in Ukrainian and foreign translation agencies, travel companies and crewing companies, in secondary and higher educational institutions, press centers, radio and television centers, book publishing houses, and in the hotel business. For those who want to associate their life with science, in 2013 the faculty opens a postgraduate course in specialty 035 - "Philology" and operates a specialized council for the protection of Ph.D. theses in specialties Germanic languages, comparative and typological linguistics and general linguistics. This year, the first graduation was held in the graduate school in the specialty "Philology".